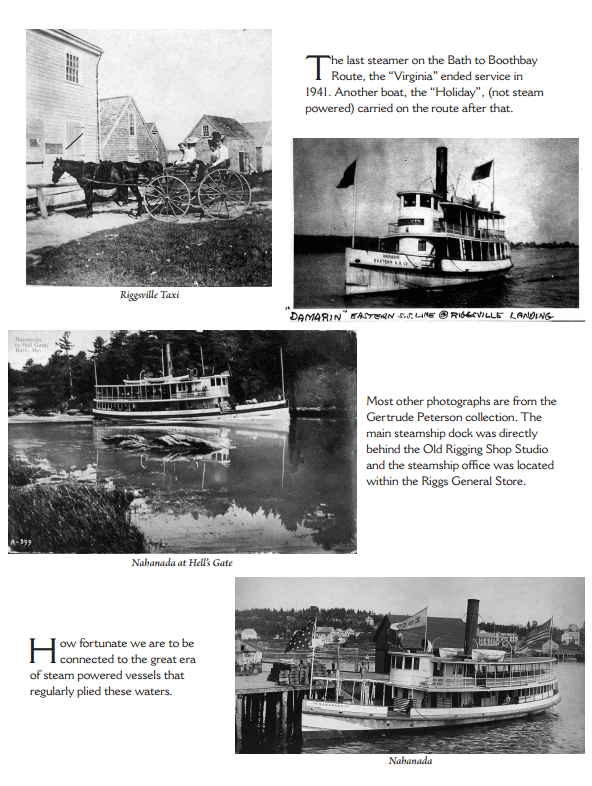 Riggsville, Georgetown, Maine has enjoyed a long and rich history of settlement, marine commerce and boatbuilding. One of the most prominent men who ever lived in old Georgetown was Benjamin Riggs. 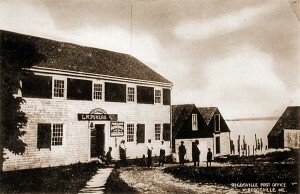 In the late 1700s Benjamin built a log cabin next to what is today the site of Derecktor Robinhood and shortly after settling here built a store on the waterfront. The log cabin is gone, but the store remains and is now our Old Rigging Shop Studio, circa 1790. The studio today houses a good deal of early history of the site and village. A connecting building, the Gallery, continues the history theme with many old photos and much written history. 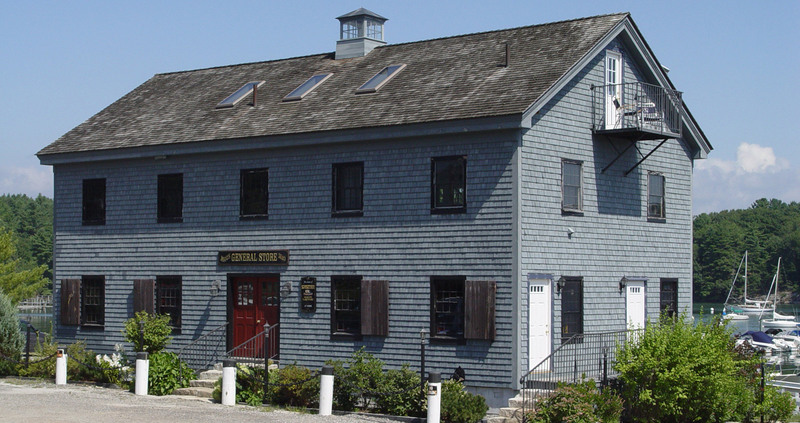 Adjacent to these waterfront buildings is our Library, which is a sanctuary for weary traveling yachtsmen and was originally built by Benjamin Riggs in 1795 to use as a freighthouse to support his very active coastal trading business. A major reconstruction of the Riggs 1820 General Store was completed in the early 2000s. This building, which is adjacent to the Studio, Gallery and Library on the waterfront, was the Robinhood Village center for many decades. In the years following Riggsvilles prominence as a center of commerce, the site became home to a variety of marine uses such as boatbuilding and repair, gradually evolving into the marina and boatyard of today. From the late 1970s to 2016 it was the home of Cape Dory Yachts, a leading builder of both sail and powerboats. In 2016, the partners of Derecktor Robinhood came on board with the goal of continuing the maritime traditions which make Robinhood a truly special place. Many islanders shared their early photographs and oral and written history with us to make the historical presentations we enjoy today possible. 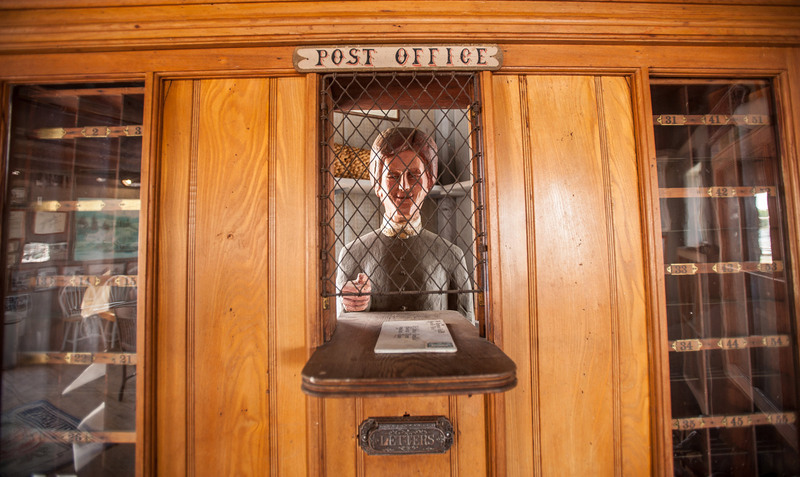 We are also fortunate to have local artists and sculptors who have helped us recreate the past. We are pleased to offer our historic waterfront restoration along with the many early photos and written histories to visiting yachtsmen, neighbors, Georgetown Islanders and all visitors to the site.